Stratogen Accounting. Noosa Accountants & Financial Planners. Noosa Accountants & Financial Advisors Sunshine Coast QLD. At Stratogen Accounting, we offer the full range of services expected of a leading edge accounting firm. From accounting, taxation and bookkeeping to financial and estate planning, business planning, restructuring and systemising, through to assisting our clients obtain finance – both business and private. Servicing clients’ accounting, taxation and audit­ing needs in the context of their business as a whole. Reviewing clients’ overall positions to ensure we assist them in developing their long term wealth plans. 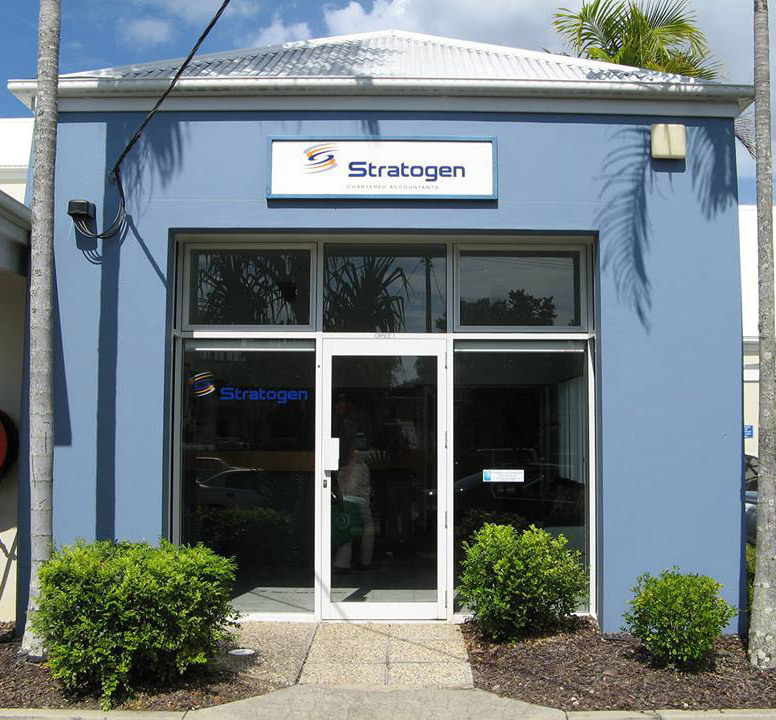 The Stratogen Team has over 15 employees and is proudly headed by our Directors Martin Rafter, Janelle Mitchell, David McMullen & Sally Adams. Combined they have over 80 years experience in their fields. On 26 February 2016 Stratogen underwent an internal restructure, with Senior Accountants acquiring Hugh Ramsay’s interest in the accounting, taxation and audit sections of Stratogen. As such they are all familiar faces in the community, both through their business networking and involvement in local sport­ing organisations. Generally, Stratogen’s fees are based on time spent in providing the service and the degree of responsi­bility and skill involved. Stratogen’s charge rates, which are reviewed regu­larly, depend upon the technical level of the staff members involved in your work. Charge out rates range from $80.00 to $300.00 per hour. Special services such as special audit and forensic assignments and management advisory services demand the availability of staff with particular skills, usually in the upper sector of the salary scale. Simi­larly, some types of consulting work involve a high incidence of research time. Because Stratogen’s fees are based on a time ba­sis, it is difficult to give quotations. However, we are happy to enter into a fixed price agreement where there is a need for certainty for budgeting purposes. In this instance we require a deposit for professional services and then invoice on a regular basis, with a final fee upon completion of work. Outlays incurred on your behalf will be charged additionally. Office 1, 59 Mary Street, Noosaville.